Continuing our series of introducing each of the Mendeley teams, it’s time to meet the Mendeley Web team. At it’s most simplest description, the web team is responsible for the Mendeley website–making sure it functions correctly and allows for the networking and groups collaborations that happen online. But, just as Mendeley is about working collaboratively, the Web team works closely with almost every team at Mendeley, ensuring that important features like the Web Importer, Sync, and Mendeley Discover work correctly. Their overall vision is to use cutting-edge technology to help ease the researcher workflow. Paul was born and raised in South London, and started developing websites about 15 years ago. Having had various jobs and freelance projects across the whole web development stack, he now focuses mainly on the front-end stuff. Favorite part about working at Mendeley? Cooking, reading, rummaging around in junk shops, wondering where I’ve put my keys. Chris joined Mendeley in 2012. He graduated with a BSc in Media Technology from Oxford Brookes in 2007. His degree involved a lot of TV programme production, but the exciting challenges were with web development. Work on the web team developing the main Mendeley web codebase. Also responsible for web code deployments. I get to work with incredibly intelligent people who are passionate about what they do. Where to start… I’m an Explorer Scout Leader, so I get to enjoy lots of outdoor activities and camping trips. I love motorsport, photography, cycling, hiking, travelling, hovercraft racing, to name a few! I’m involved with all the quirks and wonders of front end development. So if you are using an old version of IE, I will hunt you down! The great team, cutting-edge technologies, challenge and the occasional beer on Fridays of course. Travelling and dancing salsa make a perfect combination for my free time. There’s also a lot of hanging out with friends, good movies and some accidental programming on the weekends. Radu joined Mendeley in March 2014, moving from Sweden in search of a challenge. He was born and raised in Romania and holds an MSc in Electrical Engineering and Computer Science. I have an exciting and challenging role to deliver technical solutions that will help realise Mendeley’s vision for transforming research. 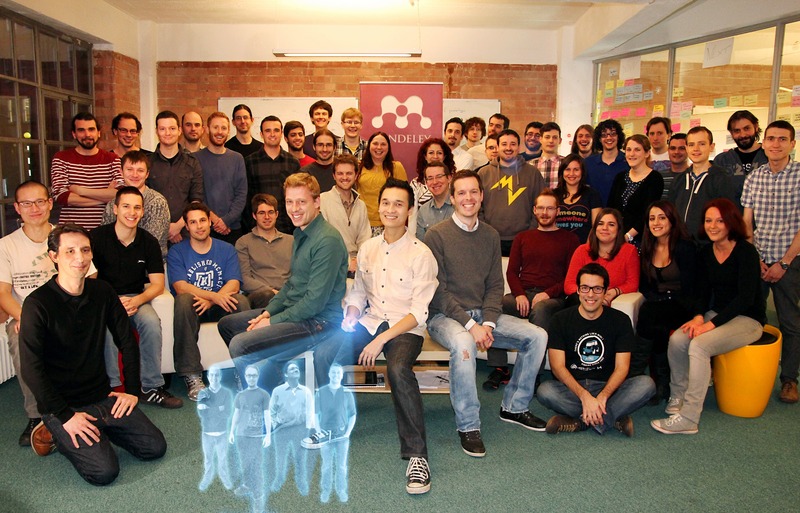 Mendeley’s office in London is packed full with very talented, smart, dedicated people. [editor’s note: blush] They create an amazing positive atmosphere which is the perfect ingredient for innovation. Having joined recently, I am really excited to be a part of such an environment and to contribute to the development of a great product. In my free time, I like to escape reality with the help of a good book (mostly sci-fi or alternative history) or improve my general knowledge about life, universe and everything. After finishing his MSc in Computer Engineering and wandering around Spain in different companies and roles, he decided that was time to see the world abroad, landing surprisingly close to Spain: the occasionally sunny London. As a Backend Engineer, I help develop and improve Mendeley’s web products, but I’m always keen and happy to collaborate with other departments. The people! Either working side-by-side with enthusiastic, motivated and highly-skilled colleagues, or having a beer with them. Unmentionable geek stuff, British humour, playing sports, cooking, learning useless but interesting things, laying under the sun. I’m a self-taught developer who has worked on a number of different types of projects at various companies all with very different styles of working. I’ve worked in silos, in large teams and small teams. I’ve built frameworks, web services, internal applications and public facing sites. I think this varied experience has given me a pretty well balanced outlook on the art of software development. As the technical lead, my primary responsibilities are to look after the overall architecture of the website, and help to hire the best people we can into the team. I also take an active role in helping to design the new generation of web service APIs that will powering Mendeley as we continue to grow and expand. Working on an interesting project, as part of a hugely multicultural and talented team, right in the heart of London. In my free time you’ll often find me tinkering with various electronic projects or playing with music hardware. I am a keen Thereminist and this year I’ve also taken up the AXiS harmonic table. Still can’t keep time to save my life, but that doesn’t diminish my enjoyment. What am I, a metronome? I think not! Mudi’s full name is Mudiagahn Ugbowanko. Mudiagahn means “Stand Firm” and it’s Nigerian (which he is). Mudi looks at everything from a holistic, logical and empathetic perspective, which he says makes his job easier to manage (pushing keys to solve abstract problems!). When he’s not geeking out, he’s eating and having fun living life: “#WTH seriously, I love food and getting involved with anything the involves social interaction with other people! #getYourMindOutTheGutter!” he said. No-nonsense get the job done, comedic Pro #contradiction? People are open minded. Projects are ambitious. Opportunities are plenty. Last week Jan Reichelt, President and Co-Founder of Mendeley, got together with two other tech company founders to share their personal experiences of what the ride has been like so far. The podcast was hosted by TechCityinsider and gave some candid insight into both the challenges and the advantages of being integrated into a large corporation. How did the acquisition come about, and once it happens, how do you keep the start-up culture and entrepreneurial spirit that made you successful in the first place? We were talking to strategic players in the market about things like distribution, co-development of products, and investments, and Elsevier was very interested. As a start-up you want to get out there and be noticed, and Elsevier has a huge reach to academic institutions and end users through their publications. Plus the strategic alignment was clearly there in what we wanted to build. The reason we did the acquisition in the first place is because we felt we could accelerate what we’ve done in the past. Mendeley was acquired as a strategic asset for Elsevier, and they are going to invest in it. This year we’re hiring 30 people! As a founder that is what you want isn’t it? For this thing you started to flourish and have even more impact than before. The difference is that you don’t have to worry so much about how do you fund the business, or about revenue streams. In our case the acquisition was not based on projected revenue streams, but rather to help Elsevier to build its digital product footprint. So from that perspective the motivation is still there, and nothing has changed. Why would I want to leave? We made the decision to stay as a founding team, together with my other two Co-founders (Victor Henning and Paul Foeckler) and we committed to make this happen in a new environment, where you are not reporting to investors any more, but of course you’re then reporting to a larger organization, so the challenges are much the same, but with different stakeholders. Obviously things changed, and the biggest change were the different cultures. In the start-up world you make a decision, move on and learn, and you’re working in a small group. Elsevier is of course a multi-faceted company with many different stakeholders, so your challenge is to find your way around but at the same time not lose traction with your own product and your own team, because that is what you care about. Some things have slowed down and sometimes I feel that we could be doing things faster, but at the same time, we have to grow up as a start-up as well, and we would have faced some of those pains as a growing company anyway. We run a very agile software development process, and in our particular case that is one of the things that Elsevier is really keen to support, as they currently still have very big legacy systems and long release cycles. They want to incorporate some of this agile attitude to knowledge into their own systems, so they’re quite supportive of that. The attitude that we now try to pursue is: Let’s continue to be entrepreneurial because that is ultimately what will make the difference to the market, to the customers and to both companies. Nobody knows better than you how your company ticks, so retain that positive attitude despite the additional challenges coming your way. 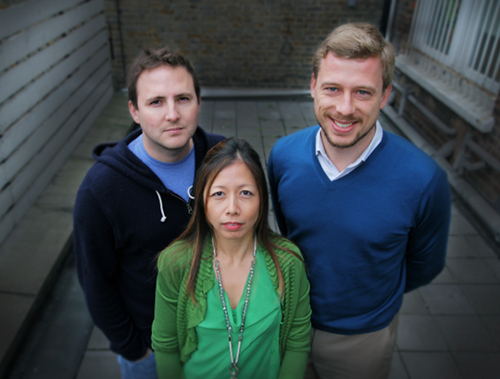 In January, the Mendeley founders Jan, Paul, and Victor were voted “Best Startup Founders” at the Europas, considered the Oscars of the European Tech scene. This was the second win for Mendeley, which scooped up the prize for “Best Social Innovation Which Benefits Society” in 2009. In February, we listened to your comments and released Mendeley Desktop v1.8, with expanded offerings and bug fixes. April brought a lot of attention as Mendeley joined Elsevier. We’re proud to have honoured our promise that the merger would mean very little change for our users, beyond some positive resources…like the doubling of storage space that immediately followed the announcement. Our Mendeley team participates in monthly hack days. In June, two of our team came up with a cool video that shows Mendeley Desktop Syncs mapped globally. There is something hypnotically beautiful about that video. Also in June, we opened our doors and invited our Advisors and users to join us at Mendeley HQ . The day had sneak previews and testing of new features and one-on-one chance to talk to the teams at Mendeley and Elsevier…we also managed to squeeze in some fun with Lego playtime, Post-it note fun and loads and loads of food. We hope to do it again in 2014 and see you all there! Check our YouTube video for a quick review of the day. We continued to meet with the community in July, and hosted an all-day mini-conference on Academic-Industrial Collaborations for Recommender Systems. It was an opportunity to discuss the benefits and challenges of academic-industrial collaborations. With the start of the academic year in September, we were proud to announce your ability to take Mendeley on the go and introduced our Mendeley for iOS app. (Android users, don’t despair, it is high on our priority list). We participated in October’s Social Media week in London and hosted an event in conjunction with this year’s theme “Open & Connected.” Missed the presentations? Watch them here. Mendeley was also involved in a number of partnerships and expanded external apps that we support. To name a few (but certainly not all): F1000 Partnership, ScienceDirect import capabilities, Third-party developer apps (To learn more about creating your own App, visit our Mendeley Developers Portal) and our latest…Mendeley users can now import directly from Scopus. And this month, we’ve been preparing our product development roadmap. What does that mean? Stay tuned! Thank you for a wonderful 2013. Happy wishes for the New Year and here’s to making 2014 even better. Mendeley Has 2.5 Million Users! We’ve done it! Mendeley now has 2.5 million users all over the world. This is a huge milestone for us, and of course we only got there because of our amazing community of researchers, so a really heartfelt THANKS goes to all of you. We hope that over the years since Mendeley started and as we grew into a global research community, we helped to make your lives and work a little easier by giving you the right tools to organise your papers, collaborate with other academics and discover content. To celebrate we might just have a barbecue on our rooftop terrace if the London weather permits, but if you have any suggestions of how else we could mark the occasion please send them along! Team Mendeley Races for Life! Last Saturday the 22nd June, instead of relaxing in bed like the rest of us, the women from the Mendeley (and Elsevier) team got themselves over to Finsbury Park in London to take part in a charity run for Cancer Research UK. The weather was not great, but Zuzana, Carole, Rosario, Elena, Charlotte, Veronica and Jessica bravely ran or walked the 5k, with Zuzana and Rosario finishing in under 30 minutes! Some of the guys from the Mendeley team also showed up to cheer them on, and the rest of the team supported the effort with fundraising initiatives such as baking tasty caffeinated brownies (Andi’s specialty!) which raised a whopping £95. The total raised including gift-aid topped £1000 so we hope that helps to make a difference for this worthy cause!